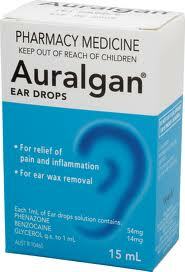 Auralgan Otic Solution, a prescription drug used to treat pain and inflammation associated with ear infections, was being distributed in violation of federal law because the product does not have FDA approval and its labeling does not include adequate directions for use. On Feb. 5, 2010, the FDA issued a Warning Letter to Deston, the maker of Auralgan, citing the company for distributing unapproved new drugs and misbranded drugs. As such, on Feb 15, 2011, US Marshals seized all lots of Auralgan Otic Solution warehoused at Integrated Commercialization Solutions Inc. (ICS) in Brooks, KY.
Read the FDA notice here.